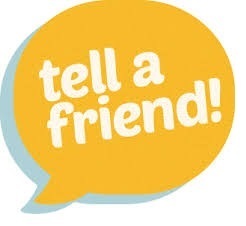 Last year someone introduced me to your prayer bullets , and at that time things were not going well for me and my husband, my husband was drinking too much and would always come home late , we were struggling financially and it was difficult for us to even pay for our children’s schoolfees , they used to be sent out of school because of owing the schoolfees, we were also renting a flat that was too expensive and we wanted so much to have a but we could not but it because we had no money. Untill I started praying these bullet prayers our lives changed miracously , we now own a house in one of the suburbs, we also own two beautiful cars, and my husband got saved also. I give God all the Glory about you Elisha , though I haven’t yet joined the prayer groups but I see the results ,I really wAnt to join them . God will greatly bless you Elisha , the world needs people like you.You are amazingly bringing people closer to God and making them know him for themselves and know that they can speak to him and he can answer. He can speak to everyone who genuinely surrender to him and seek him, it’s not only pastors or man of God who can pray and hear him. You have helped people to understand how the Kingdom of God operates, u didn’t keep thsee mystery to your self. What a good hearted man, a true man of God. With long life God Himself will setisfy you. I can’t explain how amazed I am, I have been following but already see how my life has changed spritually and physically I wonder how is going to be when I join prayer academy. . By God’s grace soon I will be able to join, God will help me with what I need to join. Thanks a lot. I pray the Lord will perfect everything that concerns you and family and may He supply all your needs according to His riches in glory through Christ Jesus speedily to join the Prayer Academy. I encourage you to join the Prayer Academy soonest. Yes we bless the Lord for our Prayer Coach. He is a True Servant of God. Thandi you are very right. Men of God must produce disciples who are able to hear from God on their own than make them dependent on them, a thing that is common these days. Elisha is really unique. Since i joined the prayer academy in 2014, my life has never been the same. Despite the failure for my prayers to be answered yet, i will not leave praising and chanting the name of the Lord. God has his time to one day say Francis this is what you have been praying for and i will jubilate jointly with this family. I will always use any prayer bullets you send in my inbox. Praise be to God for your continued guide. Thank you for posting the 7Furious Prayers for September 2018. This is a great weapon against our spiritual enemies in the mighty name of Jesus. I have a praise report to share. What an amazing God we serve. On 14th August 2018 there were elections going on in our denomination and my immediate boss was among the people who people were praying to take up the position. When the process was underway i received an email at the exact time with a prayer point for warfare. “Let the blood of Jesus wipe off every handwriting of rejection in the life of………. (the person’s name) in the name of Jesus.” I fired it for more than one hour and guess what after the results were announced he had 80% of the votes casted. To God be the glory. I am so humbled by this God who hears and answers prayers. God bless his servant Elisha Goodman for teaching us to pray. I have seen the hand of God change my life through this ministry.His Kingdom has been established in my life,nothing has been the same!!!! Thank you Lord for the blessings and empowerment given by Elisha and the Eagles Prayer Academy. I joined in late June 2018. I must testify that by end of June the negotiations for lobola were resuscitated and finalized within 6 weeks. God is redirecting my life through prayer bullets and I am seeing miracles daily. All of a sudden there is highy recognition at work. Everyone wants to collaborate and support the work I do and new opportunities to show my talents go straight to me. Glory be to God for His mercy never ends! May the good Lord bless you and your family for this great revelation . I am in the currently running Prayer Academy . And I must say, changes are happening. Used your prayers bullets for my grandma healing and today she’s walking again with out her walking stick. Praise be to God. even though i have not yet recieved my testimony yet but i bless the name of the lord for this prayer points. Amen, our God is a faithful God, he will answer. 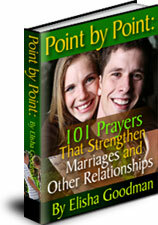 We praise God for your guidance, Man of God Elasha Goodman, on how to pray effective prayers that bring results. I am so grateful and may our good Lord bless you and favour you. I am using the monthly furious prayer points and strongly believe that my testimony is coming. I’ve been praying using the bullets and am so blessed that God is manifesting Himself on my life.Cant wait to use the september prayer bullets.Blessings,Eagle Beatrice. Amazing, wonderful God. I bless God for directing your prayer bullets . Praise God. I am a christian. I have had challenges in my life however I have never given up my faith. 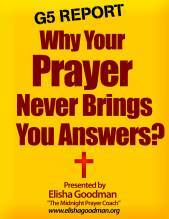 Early last week I started receiving mail from Elisha…it felt like God was trying to boost my prayer habits. I can testify that my prayers are beginning to make more sense. I feel like a conqueror. I have used the Covenant God of Abraham prayer bullet and its just amazing how God is speaking through me. I see revelations in my dreams…very vivid dreams and I believe He is guiding me towards deliverance. Prayer works! We just need to know how to pray with authority. I believe God is still making a way for me. My daily verse has always been Jeremiah 29:11…He has plans for me to prosper and I know that soon,I will be giving my testimony to put the devil to shame. Amen! The Lord promises in Isaiah 55: 11 – So shall my word be that goes forth out of my mouth: it shall not return to me void, but it shall accomplish that which I please, and it shall prosper in the thing whereto I sent it. I have been following u since July 2017, I take every prayer of yours very important. I thank God for his grace in my life n what he is about to use this prayer to do in life. Am very happy to see this month furious prayer in my email, I believe the good God who answer other people their prayers in this website will answer me, and I will also bring my testimony to this platform in Jesus name. This is great initiative. i love what you are doing. i got introduced to the this website in April 2018, and slowly slowly God is bringing back to his alter. Thank you for Furious Prayers, though i grow weary at times, they are really helpful. Thank you so much for the 7 furilus prayers for September. Praise the name of Jesus. My family have experienced a great change through these prayer points. May God mightily bless your ministry. Thank You Lord Jesus Christ for blessing the world with the annointed ministry of Elisha Goodman! I have made Christ the Lord over every area of my life, I am addicted to His Word, writing summaries of the book of Judges, living a holy and pleasing life before the Lord, hearing directly from the Lord and responding (while playing golf!). I am truly beyond words! 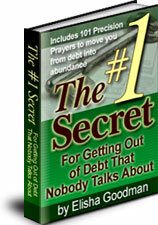 O Lord, with holy anger, I release the prayer bullets you gave Elisha Goodman of Firesprings Ministries to release great financial blessings to your children, without any delays by the devil and his agents, in Jesus name. I am a overcomer, by Christ Jesus, in Jesus name. To God be the glory for the answered prayers for all the Eagles and upcoming Eagles in Yeshua’s name. Stay blessed! I know my God will do wonders for me through this prayers. May God bless Elisha for teaching me how to pray and how to live a holy life. My father in law has begin given 3 to 6months estimate due to lung cancer. We shall not die before our time. Trusting God to give him new lungs that are cancer free. He gave life to the dry bones. Trusting Him for this miracle. 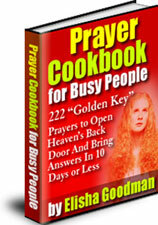 Firesprings Ministry has a very good prayer manual entiltled “Prayer Cookbook for Busy People”. Among other prayers, you will find 38 Prayers For Those Given Just A few Days to Live”. Matthew 18:18-20 “Assuredly, I say to you, whatever you bind on earth will be bound in heaven, and whatever you loose on earth, will be loosed in heaven. “Again I say to you that if two of you agree on earth concerning anything they ask, it will be done for them by My Father in heaven. For where two or three are gathered in My name, I am there in the midst of them. Jer. 32: 27 Behold, I am the LORD, the God of all flesh: is there any thing too hard for me? Isaiah 53 : 5 But He was wounded for our transgressions, He was bruised for our iniquities. The chastisement for our peace was upon Him, And by His stripes we are healed. James 5: 14 Is anyone among you sick? Let him call for the elders of the church, and let them pray over him, anointing him with oil in the name of the Lord. 15: And the prayer of faith will save the sick, and the Lord will raise him up. And if he has committed sins, he will be forgiven. O Great Physician by the power for which you are known to be God, arise and declare total healing to my mother-in law and every damaged cell in her body. The Lord healed her totally and she is back at her farm. Include also the current Furious Prayers for September as a family. Keep praising and worshiping Jesus Christ, even when things appear worse. Brothers and sisters I greet you all in the Mighty name of our Lord Jesus. I would like you to help me with prayer points for my resident permit. I applied last year in June and am still waiting. I thank you for having led me to the road to prayer. However, i need the total deliverance from self blame and bodily desires. I too have prayed for a Job for now two years in Vain. I need God’s Intervention in my life. I thank God for leading me to this prayer site earlier this year,I have a testimony of the Lord God saving my husband from death this august. I thank you for the 7furious prayers for September, I know I will testify soon in the mighty name of Jesus. I haven’t joined the prayer academy,but I hope to join soon,as soon as I get a job. I pray to meet Elisha Goodman in person the day I go to Canada. God is blessing me and I know and feel it. I have seen God’s Miracle through your teachings on daily Emails,am preparing to join the prayer Academy soon. I really feel blessed by this prayers and testimonies.. May God blessvyou and increase you for this work is not easy by only by His Grace.. I will continue praying this seven furious prayers for this month..
God bless you man of God.. I just want to thank the Fire springs ministry for helping me with the truth about the things patterning to our God and our saviour Jesus Christ. I lost hope in many things but now I am revived. To wake at midnight was a task and now I wait for that time. I am reminded of the past several times but it’s no longer important. My goal is to reach the end and meet with my Saviour. Eagles continue to stay vigil always as we have been taught to be alert at all times. The joy of the Lord is now my strength. Greeting to the fireminitries tea and The Man of God Elisha. I’m still singing the same song even today that God is good all the time. Im greatfull for the free prayers that I receive monthly. I have learnt so much through these powerful prayers. My favourite scripture that I can’t sleep or wake up without is Psalm 91. It has worked wonders in my life and family. Even when trouble comes at night, i say it even in my dreams when im asleep and all evil bow. It might sound like a story but since i joined the academy i always win my battles in my sleep. I even see a problem before it appears and solve it just by prayer. There is ertenal life in Jesus. Amen. 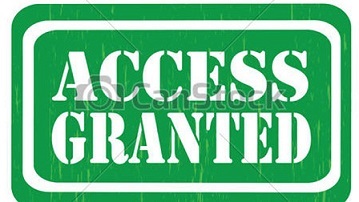 For 16Years Midnight Back Door Prayer And Isaiah 32:1 You. Spiritual Task Masters Arresting Answers To My Prayers Receive The Judgement Of God … Yes I Would Love To Join The Fire Spring Prayers Due To My Financial Situation But I Am Always Praying Bringing Souls To The Kingdom Of God I Am My Own Prophetes. As You Have Taught And Zi Brlieve Gid Speaks And Directs He Gave Me Jeremiah 31:15-16 God Speaks To Me My Marriage Is Destroyed By Witch Craft A Lady In A ChrchvCalled Baptist Spiritual Has Done Soo Much Wicked Ness I Am With Dr Morris Cerullo For 33Yrs His Ministry For 72 Yrs We Just Finished Our LA Crusade Waging War I Am Blessed Bro Barrett In Ny Still Under Her Demonic Powers Holy Spirit Set me Free Showing She Is A Witch I Donot Have No Connection But The Lord Opened A Door For Me To Do Mary Kay A Cosmetic Company Joined Last Month 17th But I Haven’t Still Launched It I Believe This Is From God Age Is No Limit I Am 71Yrs Old And Got Married In London UK 1985 By 2008 Was Over But I @Know God Is Keeping Me I Would Love My One And Only Daughter To Have A Baby Second Marriage 6Yrs She Had 2 Miscarriages The Two Fallopian Tubes Are Out Due To Witch Craft From By previous Family Pl Pray Antoinette Will Get Pregnant Supernaturally That’s My Hope The “Lord Speaks To Me Showing He Is My Battle Axe Jeremiah 51:20 The Father Gave Me Jeremiah 15:20 And Jeremiah 20:11-12 Waiting My .. Thank You, Sir May The Mighty Resurrected Hand Of God Rest Upon You For Your Love And Kindness. My Kids Names (Antoinette Mills, Husband Travis Mills )Sister Maya And Me Anne Barrett I Am Greatful For Monthly Prayers One Day When I Am In A Postion Will Join The Prayer Accadamy In Jesus Anointed Name Pl Pray I Will Get Clients Mary Kay In My New Venture Thank You So Veryv Much , I Will Use Some Of These Prayers From Tonight. TheyvReally Are Empowered Anointed Prayers . Greeting all in the name of Jesus Christ.i was introduced by my nephew on the 15th August 2018. i am praying all the prayer bullets. I have a pain under my left breast for some time now please help me. i cannot slep on my left side. Brother the Lord help you and give you wisdom. 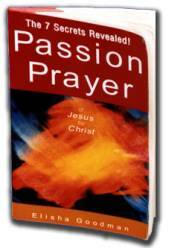 Please confront, attack, submit,whereyou have to in prayer, fasting and consulting. Trust you have done most of the programs beginning with the academy that will give you the good foundation and make you understand why some things happen and since we don’t have control over them especially from our ancestors/the dead only God’s mercy will prevail. May God bless you for posting the 7 furious prayers for September. I prayed first day when I received them. They saved my niece’s life the last prayer bullet of rejecting death from my family. She was stabbed multiple times yesterday morning. But survived even the horrible cut next to the main vein in the neck that could have killed her. These prayers work I’m on Lesson 6. I joined on the 24th June and God has been good to me. 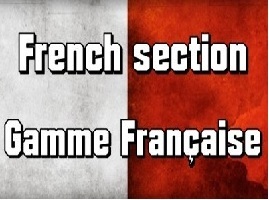 i just want to praise God because of your generous contribution towards the body of Christ since i joined this group i have seen God in many ways especially in Spiritual growth and fights.the kingdoms have gone down by the mention of the name of Jesus. Jesus is alive hallelujah there is nothing impossible with God.all my enemies have been put to shame they keep asking themselves what God i serve .What i have discovered is that when you get hold of Jesus and follow the teachings of the holy book, plus the Furious prayers ,surely the devil will run away.Praise Jesus ,because my Marriage is healed ,my children are delivered ,my job is protected.God has done it for me . LORD thank you for September 2018 furious prayers. I say AMEN to them. You Lord Jesus, you who sees all that is ahead of us since we are blind.. you create for us escape routes and helps us from situations we find our selves in while serving you and still living here on earth as we look forward to your coming. I will never forget the prayer point in October 2015 that saved my family, a refugee I hosted, colleagues at Work, my prayer partner and my self from premature death well planned by the enemy of the Lord just before I joined the PA in the same month. Lord, we cancel premature death in Jesus name. And Lord please extend my working days to accomplish my mission in Jesus name. I was to be dismissed/killed by end of October 2016 as per the warning letters I was given but who is like God Our God, great and awesome in power !he honoured the prayers and extended my contract by just one month to November 30th2016 to give me time to accomplish what the Lord wanted me to do. Thank you, Lord I did it. Even though I was dismissed unfairly, I never went to court since it was God’s will and it was a ministry work under attack. Am trusting him in this Month to settle the course for me. I am still waiting on him in Jesus name. BRETHREN LETS PRAY THESE PRAYERS AND EXPAND OUR MANDATE, Instead of me bring in your family, relatives, the church of Christ, workplace, country, Ministry,Firesprings Ministry etc. 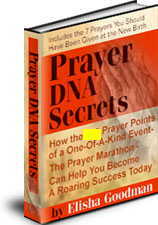 There is a secret I discovered while doing many of the prayer points. It works and pleases the Lord that we are interceding for others too. I know I will testify soon in the mighty name of Jesus. Of blood,the Lord healed them,I’m the leader of that church but I’m suffering from poverty,church growth in all manner of grown including financial breakthrough. Glory to God, I will worship His holy name until my prayers are answered. I will not relent or despair, for He makes everything beautiful in His own time. Dear Prophet, please help me to find a Caleb Coach. In Jesus Holy Name. Thank you. I thank God for what he done for me, now I feel the holy spirit he inside me. and I feel God’s presence with me. I believe that what am praying for , I will get it in Jesus’ name. I also ask elisha’s ministerial to stand with me in destroying the evil altar fighting in my relationship. Other things are going well. But the evil altar is at work in my relationship. from Irene Naigaga in Uganda. To God be the glory for this site,i have seen alot of change in my life since i was introduced to it.God bless you Elisha Goodman.Am yet to join the accademy. Hello brother Elisha,just came across your site last month ,with the prayer bullets you send to me,I can see my life is changing gradually, thanks so much you’re truly sent by God. I need a prayer for financial breakthrough.my life is mess.im in debts every thing is about to be repossessed.I cry to God every day I see no change I have dedicated my life to God . Am humbled by all these testimonies, and they ignite my spirit to fight more in the mighty name of Jesus, brethren we are more than conquerors, thanks Elisha I pray one day we will all meet and Jubilate with you fr what God had done to us thru your ministry. Hullo brother Elisha thanks for the work your doing . I have been following and praying your prayer points but,all does not seem well on my side. I have failed to get the right job to do and since May it’s like all hell broke lose. I had a very bitter argument with my partner we have been leaving together for 5 years and we went separate ways.I have since been praying over it . My daughter fell sick in November and I struggled with her until she passed away on the 11th of August leaving me with two of her children that I have to look after.My worry is how I am going to support myself and these children.I keep asking myself what did I do wrong to deserve all this pain no work no husband and no one to turn to.Please send me prayer bullets may be that will give me hope because am now facing a lot of challenges. My dear beloved of the Most High God greetings in the name of Jesus Christ our Saviour. I am currently in the verge of giving up been looking for a job in a long while now. God has been faithful and answers my prayers except this one sometimes it looks as if we will go hungry but we don’t He provides our every need, I am wondering if am asking for the wrong thing and with wrong reasons for God knows better than I do. We are both( my husband and I) jobless, it feels frustrating especially when you have children who look forward to you for their needs. What do I do? Can I stop job hunting or am I praying the wrong prayers? 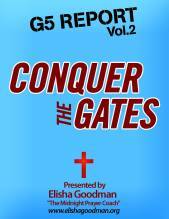 Praise the Lord, the Holy Spirit led me to the G5 report and ow as I deal with the gates and my foundations. I believe they hold the key to my questions. God bless you! I am really blessed by the way the Almighty God is using the man of God Elisha. My life has not remained the same since I started receiving and reading his materials. May God reward him abundantly. Praise the Lord n thank you for the prayers points. They re powerful n just my situations. Thanks for God for it in Jesus name. I thank God for this ministry and am so much blessed by the testimonies,teachings and word of encouragement which I receive on the daily basis from the servant of God Elisha. They opened my eyes my life isn’t the same. Hey Elisha,I have been praying for self deliverance,to be delivered from dream attack following your prayer bullets but in vain,please help me and I’m saved. I fear no evil for my King Jesus Christ is with me!! We give God the Glory for directing us to this site. God bless you man of God Elisha for your scriptural teaching that are filled with the Holy Spirit. May the name of the Lord be Gloryfied in each an every Eagle of this site and beyond. Halelluyah!! Prayers, going through so much right now. I am praying the prayer bullets and praying that my investment gets released. I need $6000 to pay off things. I am standing on God’s word that I will be taken care of! Elisha,l’m really,really blessed. As soon as l got my visa debit card I’ll purchased complete material which is $147. May God continue to reveal new revelations as the spirit leads. You will continue to invent more deadly weapons of mass destruction against the enemy. Elisha… a God sent prophet..I have not joined the Academy yet,but have been using the prayer points sent thru email. Iam now used to mid night prayers everyday and this prayers are real helping me very much. Let me explain something here.I always put alarm to walk me at 2.am to pray everyday. Today Friday, something strange happened. The alarm didnt go off today at 2.am. I slept but at 2.57am something woke me up and looked at the watch and checked on the alarm why it didnt go off.,and the alarm was on. I wandered whether to pray or not,but inside me I felt the need to pray and started firing multiple prayers sent by u.then I slept..at about 7.am still sleeping, I felt somebody sleeping next to me fighting me,in the dream I started calling the name of Jesus…and fighting that person whom I could not see properly.. we felt out of the bed fighting,and I was struggling the person and calling the name of Jesus and telling that person must die..you must die and i was holding his neck struggling him..until the person died..and I woke up feeling strong and praising the Name of Jesus for this battle which I won in the spirit.I started praising God and Thanking God for your prayer bullets and encouragement to be conscious in the spirit. I have not yet joined the Academy but promised to join soon. Thank you Elisha God bless u.
I have been in and out of hospital for detoxing my 31 year son sick from substance abuse. 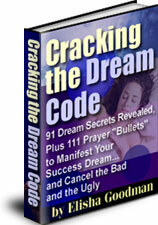 I have used the seven furious prayer bullets Elisha sent me when i was looking for the meaning of dreams. The man has lost the craving of substance. All glory to God. Iam trusting God to deliver my son from joblessness and singleness. I thank lord for miracles in jesus name. Multiplying against us the more I pray! Please help pray with me. My friends sister had been diagnosed with cancer. Thank you for your teachings. God bless you!! These prayer points are really doing great in changing my life. Great work man of God ….more grace to your minsitry.Have seen God working in my life. I glorify the lord for his awesomeness. Greetings Brothers n Sisters in Christ, why can’t I received newsletters in my new email address please I would love to share it.